“How am I funny?” Tommy (Joe Pesci) repeatedly asked his friend Henry, each time sounding gradually more intimidating and less comical. It’s the scene that film buffs will always first recall whenever Goodfellas comes to discussion. It’s also the scene that arguably won Pesci his first, and so far only Oscar. Since ‘95’s Casino, it’s been often wondered if Pesci and Martin Scorsese will ever collaborate again. There was no beef between the two, just career paths that went in different directions. Pesci took less and less roles, while Scorsese found a new collaborator (Leo DiCarpio). Could life find a way to reunite these two? Twenty plus years later since their last collaboration, and we finally have an answer. It’s been confirmed that Pesci has joined Scorsese for his next gangster flick, The Irishman. The film is based on the 2003 book “I Heard You Paint Houses”, which retells the true crime life of mob hitman Frank “The Irishman” Sheeran, and his supposed involvement in the mysterious death of Jimmy Hoffa. Pesci will co-star alongside his fellow collaborator Robert DeNiro (as Frank “The Irishman” Sheeran), along with Al Pacino. Also confirmed for the film is Harvey Keitel and Bobby Cannavale. 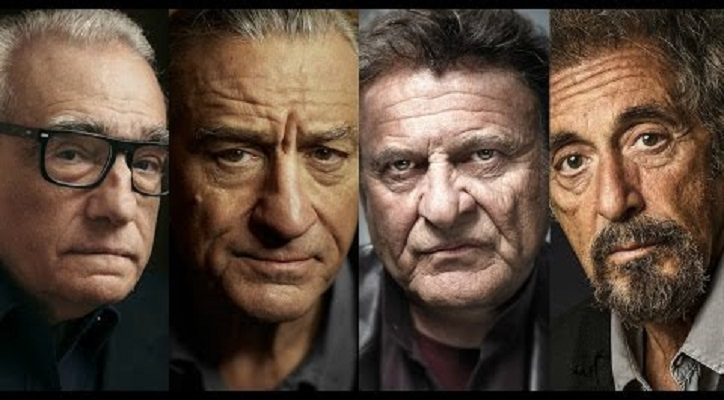 The fact that Scorsese has managed to get DeNiro, Pacino, Pesci, and Keitel together for one more gangster flick is really one for the ages. These actors are the Hollywood OG’s of crime/drama, which makes The Irishman the biggest must see Scorsese flick since The Departed. Netflix producing the project, for what’ll likely be a limited release in theaters alongside streaming, is also noteworthy, and could be a major shift for Hollywood as streaming services like Netflix and Amazon continue making their case to be taken seriously as a production company. Bottom line is that Scorsese has rounded up the OG’s, including Pesci and Keitel, for what’ll feel like a Scorsese throwback. We won’t have to wait very long for The Irishman, as production is set to begin this summer for a late 2019 release.